SPORT Ireland is to consider the possibility of a “full audit” of the Football Association of Ireland as part of the conditions for restoring State funding for the organisation. It comes amid the ongoing controversy over a €100,000 loan given to the Association by former chief executive John Delaney. Sport Ireland has suspended funding to the FAI in the wake of the revelations about the loan and its officials are to appear before the Oireachtas sport committee tomorrow. And Sport Ireland representatives are also to tell the committee of their disappointment at the FAI’s refusal to answer TDs' questions at last week's committee meeting. At the meeting last Wednesday Mr Delaney gave an account of the circumstances of the €100,000 loan but refused to answer questions on it, the FAI's finances or his time as chief executive, citing legal advice. The Oireachtas Sport Committee is due to hear from Sport Ireland and minister Shane Ross tomorrow. 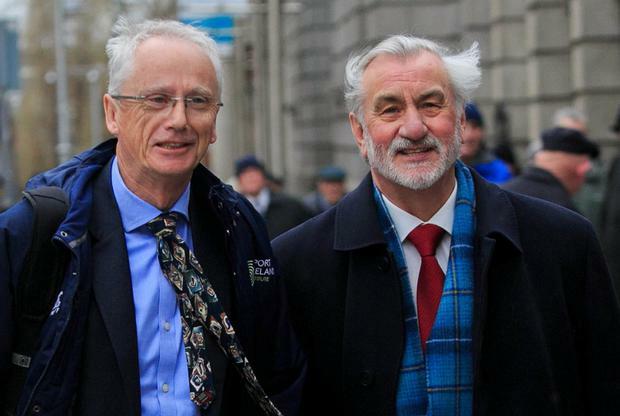 Sport Ireland chief executive John Treacy is expected to read out its statement to the committee and will offer the body's view on the FAI's appearance at the committee last week. The statement says that Sport Ireland had expected that the FAI would engage with the committee in "an open and transparent manner on all relevant issues and answer the committee's questions as directly and straightforwardly as possible". "The FAI delegation chose not to answer important questions, which was very disappointing." However, the statement adds that Sport Ireland did learn information that it previously didn't know from last week's committee meeting which "gives an insight into corporate governance practices in operation within the FAI". It says that Sport Ireland now understands that not only was it "not notified of a material deterioration in the FAI's financial position in 2017, it appears that the Board of the FAI was similarly not notified". The statement says this is "concerning from an internal financial control and general governance perspective". Sport Ireland is responsible for the investment of public money in sport and the subsequent oversight and accountability of this investment. At a meeting last Tuesday the board of Sport Ireland took the unanimous decision to suspend and withhold future funding from the FAI following a discussion about the €100,000 loan. Sport Ireland's statement to tomorrow's committee meeting says: "The suspension and withholding of funding to a NGB [National Governing Body] is not a decision that the Board of Sport Ireland ever takes lightly. "It is typically an intervention of last resort, and is only ever used reluctantly. "Sport Ireland is acutely aware that this action causes uncertainty and disruption to the delivery of very important strategic programmes. "However, Sport Ireland is ultimately responsible for the security and accountability of approximately €2.9m in public funding invested in the FAI." The statement says that FAI has acknowledged that there had been a breach of Sport Ireland's terms and conditions for grant approval whereby the Association did not inform the funding allocation body of any material deterioration in its financial position. In light of the acknowledgement Sport Ireland made the decision to suspend and withhold funding to the FAI. Sport Ireland's statement says 50pc of the youth Field Sport funding – a sum of €1.3m - has already been paid to the FAI. The next payment is due in quarter three of 2019. The statement says the Sport Ireland Board were of the clear view that the interim period should be used by the FAI to take whatever actions are required to enable the restoration of funding.